Ford build the GT between 1964 and 1969. Only 107 cars were built. GT stands for Grand Touring. 40 represents that the car is 40 inches tall. 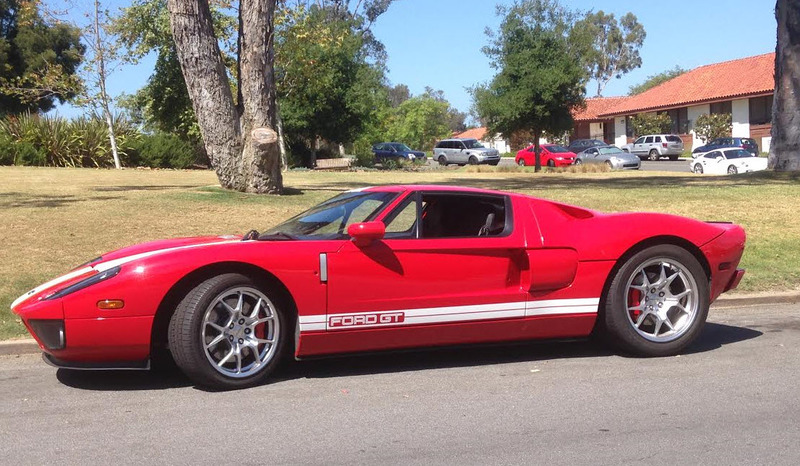 When I was a 12 years old, in 1968, the GT40 was my dream car. Continuations, replicas and modernizations came on the market over the years. There are now 2005 models available. I saw this one in Rancho Santa Fe this weekend. I don’t know enough about the car to know if this is an original, or if it is a continuation model. Checking for prices, you can get a nice used model (they are all used) anywhere between $266,000 and $480,000.